I must admit, I had never heard of Nara before arriving in Japan. We obviously knew about places like Tokyo , Kyoto and Mount Fuji but not Nara. Sometimes just turning up in a place without having any knowledge about it really helps with expectations as you have no preconceptions. Nara turned out to be an amazing city. We only had one day there but we couchsurfed with a local so we had an insider’s view on what not to miss. 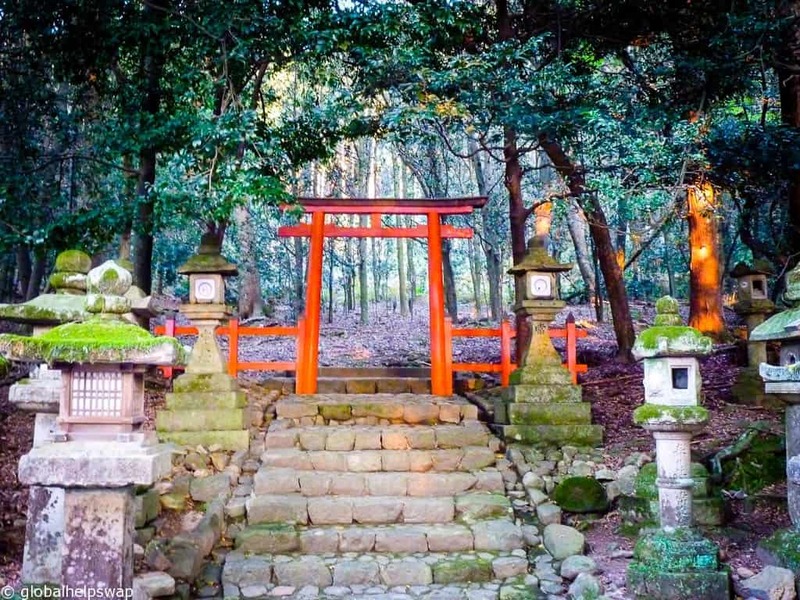 Read on for our local’s guide if the top things to do in Nara. Nara Park was a revelation. Our couchsurfing host insisted we go to the park first and to keep an eye out for the “locals”. We arrived feeling confused at her advice thinking why would she send us to a park that has dangerous inhabitants in it? It turns out she meant the thousands of free roaming deer that inhabit the park. As you can see the deer are extremely tame. 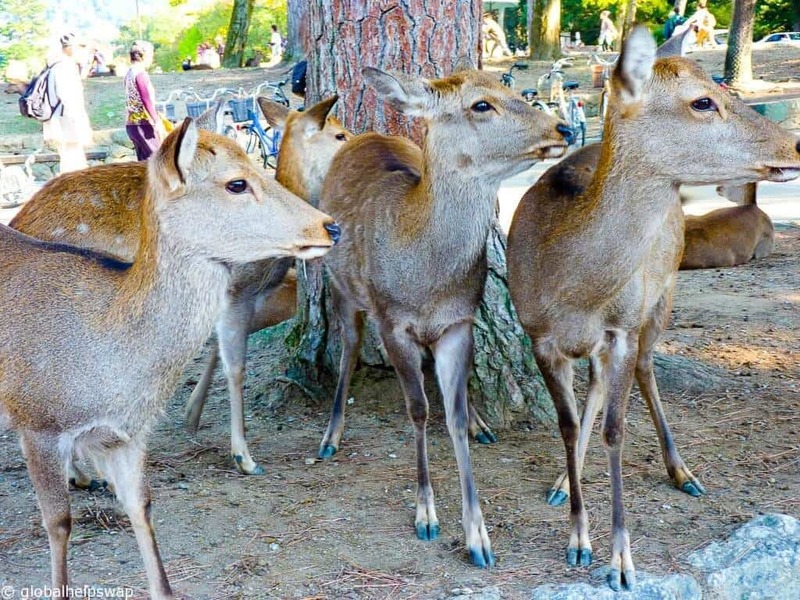 The Japanese believe that the deer are messengers of the gods and are a symbol of the city. It was quite surreal having such tame wildlife in a city centre park. 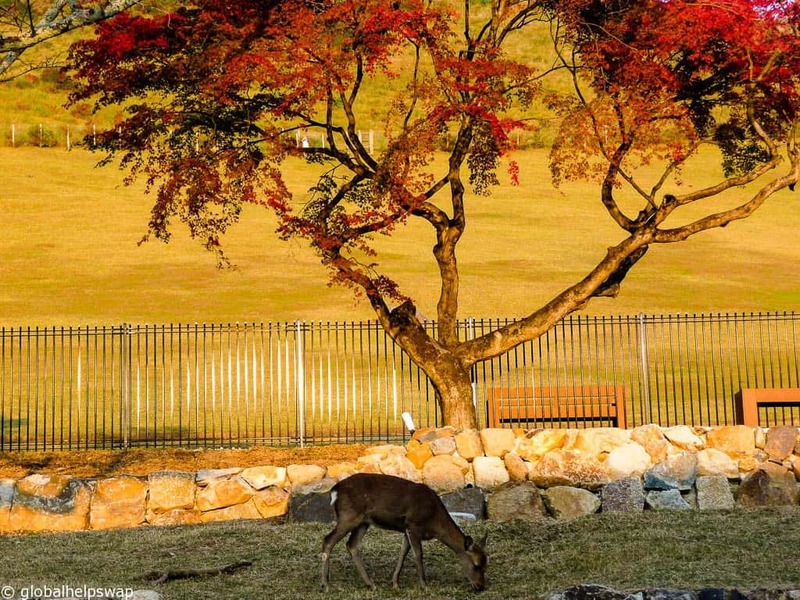 The park was created in 1880 and is the location for many of Nara’s tourist attractions. We spent most of our day just roaming the park enjoying the sights. How to get there: Nara Park is a five-minute walk from Kintetsu Nara Station or a about a 20 minute walk from JR Nara Station. 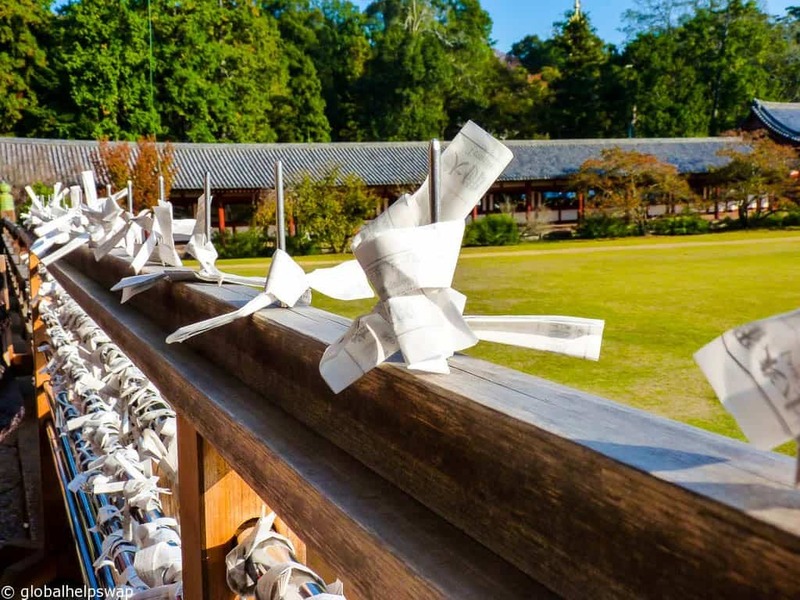 Todai-ji temple is one of Japan’s most famous temples and a must see if you are in Nara. 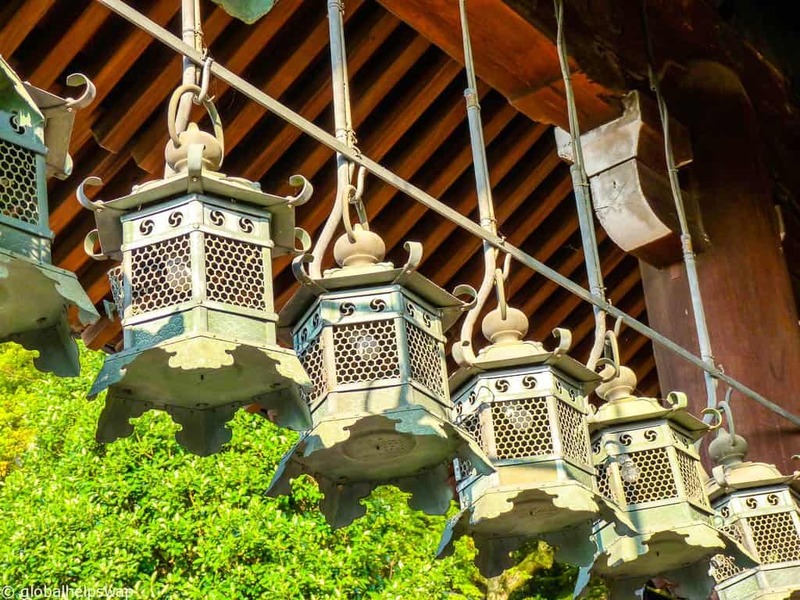 Constructed in 752 as the head of all the buddhist temples in Japan, the temple became so influential that the authorities decided to move the capital from Nara to Nagaoka. We have seen many temples on our travels and Todai-ji is one of the most impressive we have visited. The Daibutsuden Hall (Big Buddha Hall) within the temple grounds is the world’s largest wooden building housing one of Japan’s largest bronze statues of Buddha. Once you are inside the Daibutsuden Hall make sure you go around the back and check out the pillar with the hole in the middle. It is said that if you can squeeze through this hole you will reach enlightenment. I wished I knew before having my 3rd Asahi beer! 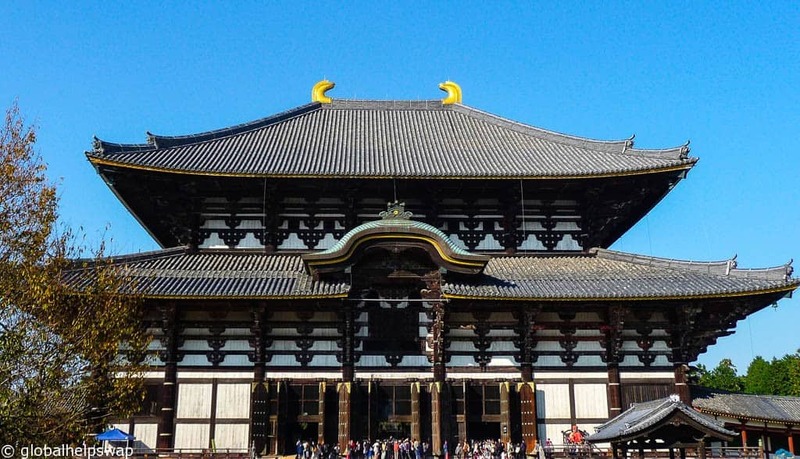 How to get there: Todaiji is located in the northern part of Nara Park. It is about a 30 minute walk from Kintetsu Nara Station, or about a 45 minute walk from JR Nara Station. Yet another claim to fame in Nara. 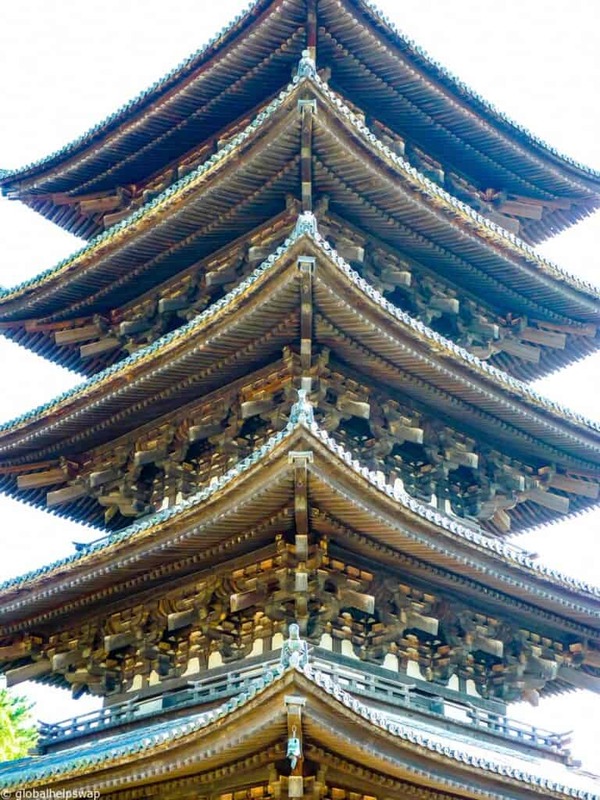 Horyuji Temple is a UNESCO World Heritage site that has the world’s oldest wooden buildings. 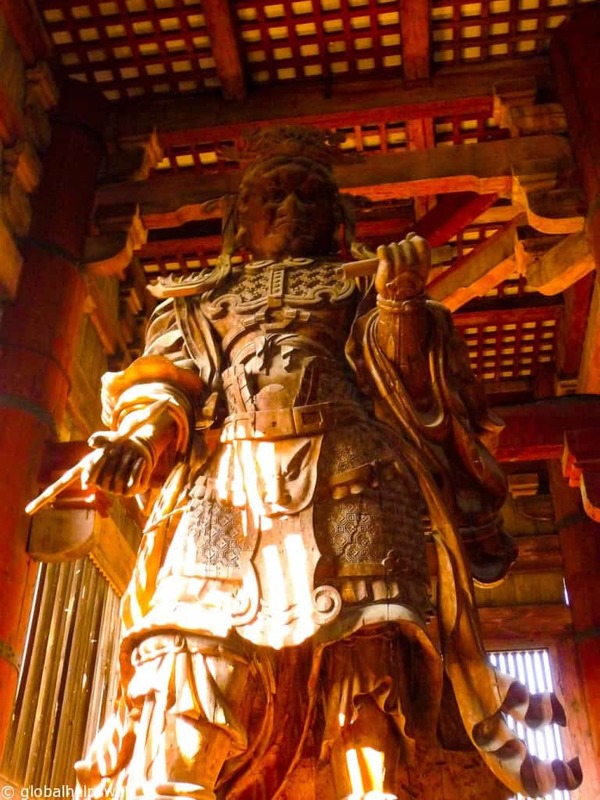 It was founded in 607 by Prince Shotoku who is credited with early promotion of Buddhism in Japan. I love Japanese design. Even buildings from 607 have a uniform aesthetic to them that I really appreciate. How to get there: From JR Nara Station, take the frequently departing Yamatoji Line to Horyuji Station (12 minutes, 220 yen). From there it is a 20 minute walk or short bus ride by bus number 72 to the temple (190 yen one way, departures every 20 minutes). Get off at the Horyujimon-mae bus stop. Mount Wakakusayama is the grass-covered mountain that sits just behind Nara Park. 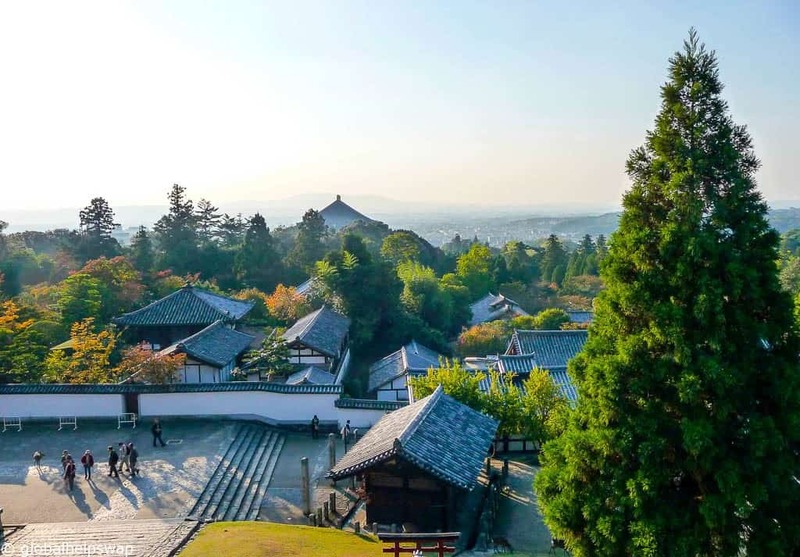 We were lucky to be visiting Nara during Autumn as the mountain is only open to visitors during Autumn and Spring to help protect the native grasses that grow on the mountain. 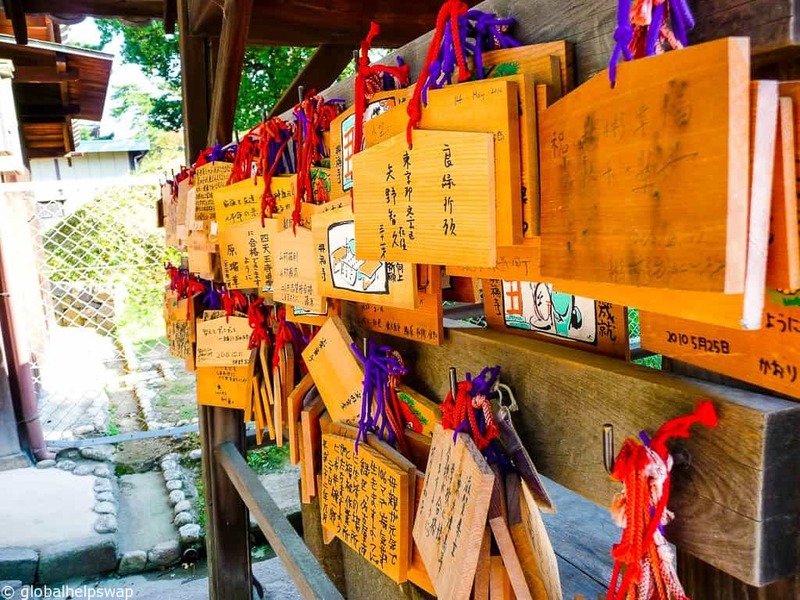 The mountain is around 350 meters in height and will give you some spectacular views of Nara (check out the first image in the post) . In early April the grassy slope on the mountain blooms in full with the beautiful cherry trees that line the beginning of the mountain. On the fourth Saturday in January the dead mountain grasses are set alight in an annual festival known as Yamayaki. The origins of the festival is not known. One theory claims that it resulted from a boundary dispute, while another claims the fires were used to drive away wild boars. The burning of the mountain is preceded by a short fireworks display. 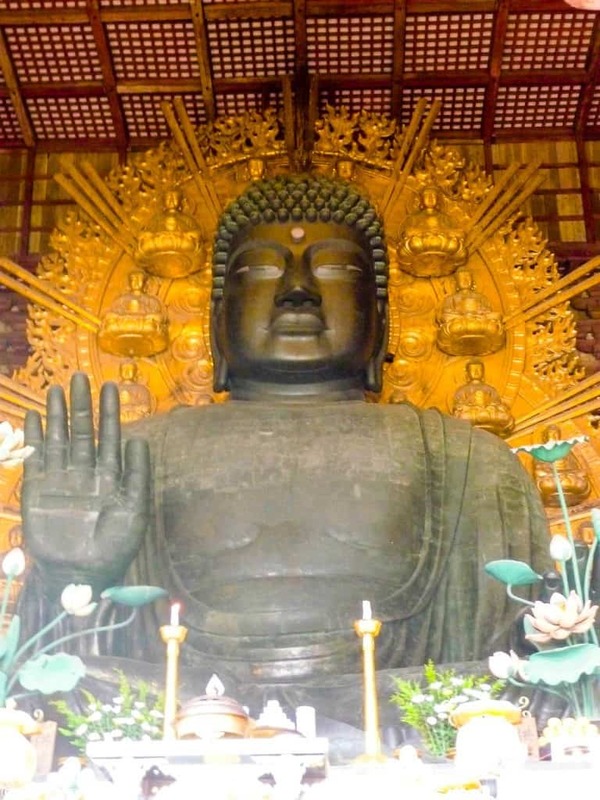 How to get there: The base of Wakakusayama mountain is located about a 10-15 minute walk from Todaiji Temple. Opening Hours: 9:00 to 17:00. The mountain is closed from late June to mid September, and late November to late March. Even though we only had one day in Nara, the city left us with a positive impression. Like most Japanese cities, Nara is full of wonderful restaurants, hip izakaya and friendly locals. If you are in this area of Japan we highly recommend a day visit. Budget: Guest House Route 53 is rated very highly. It is in a great location and the service is top notch. The guesthouse is also very very clean. Midrange: The Naramachi Hostel has an exceptional rating on Booking.com. As one reviewer stated: Amazing experience. Beautiful old house/building but renovated with style. The facilities were fantastic. Staff have also been super attentive. 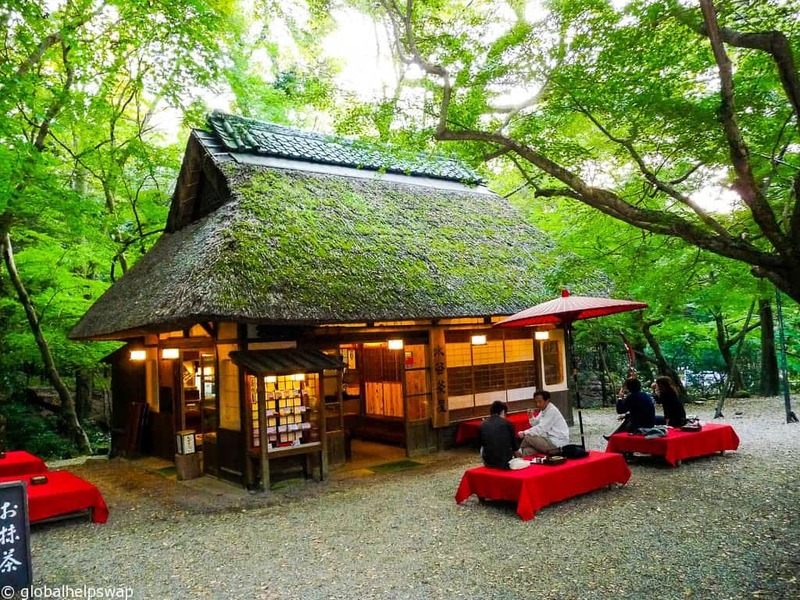 This is a must to experience the real Japanese feeling! Highend: If you really want to experience Japanese hospitality then the hotel Kotono Yado Musashino is the one for you. This is a real Ryokan right next to the deer park. There is a guest onsen for you to enjoy after a long walk around the town. Enjoy! 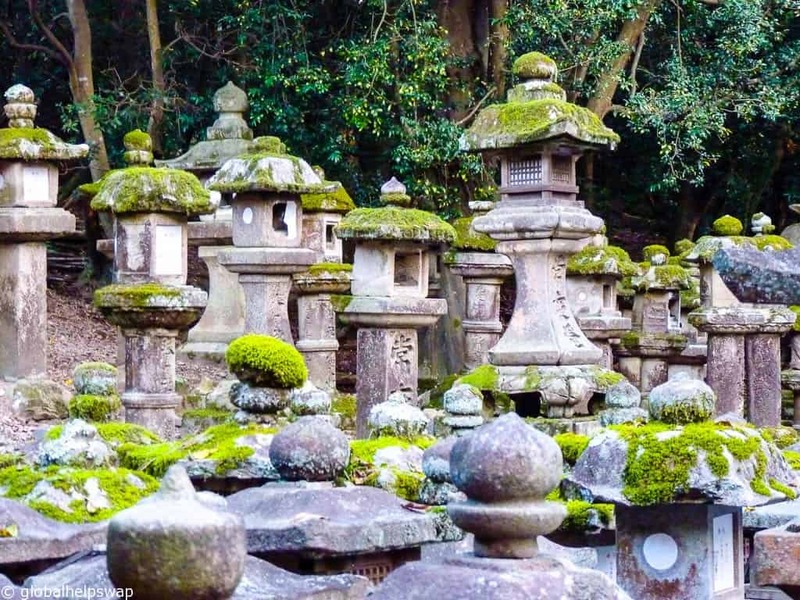 Things to do in Kyoto: Kyoto was our favourite Japanese city, read this post to find out why. What to do in Osaka: Osaka is a foodies paradise. 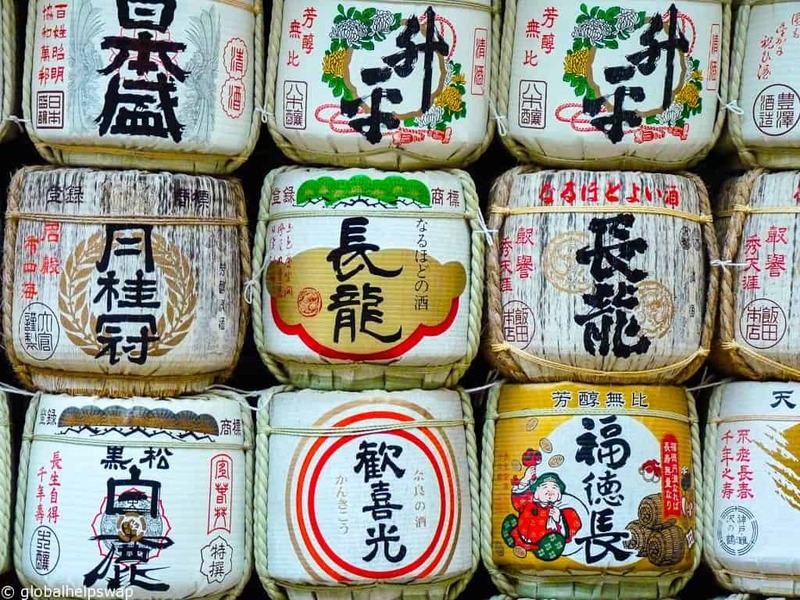 Read why the Japanese love the food of this city. 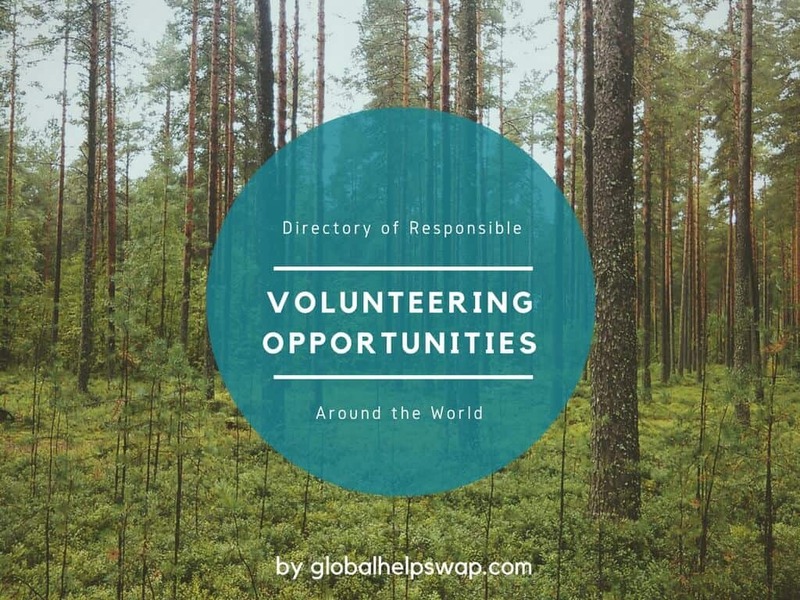 Amazing pictures and a interesting read . Nice information. Love to visit. Hi guys! 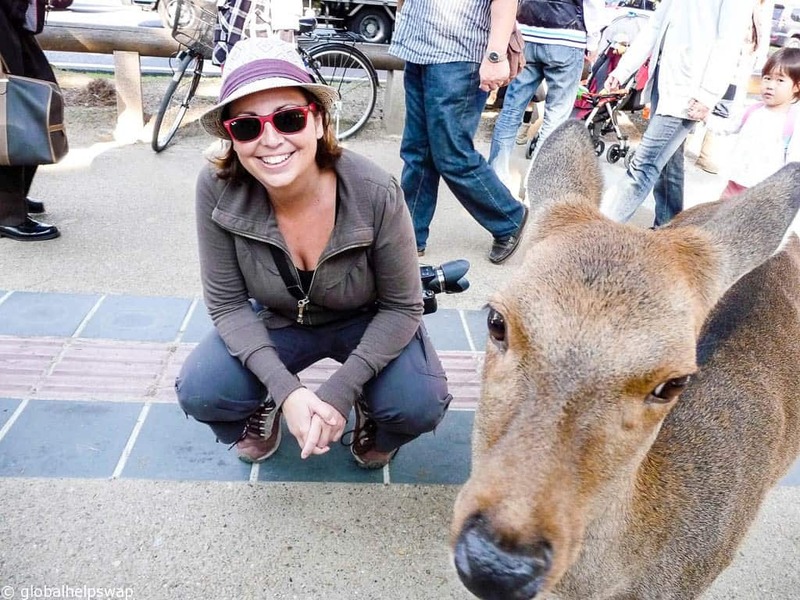 I was in Nara a month ago and I was so sad seeing how the people overfed the deer with the biscuits… The tourists were using the food to take photos with them and laugh. I missed this fact in your post. 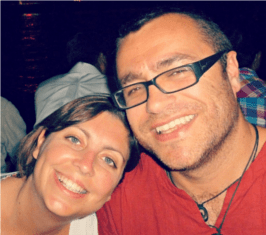 Apart of this, my congratulations on your blog! Thanks for sharing. 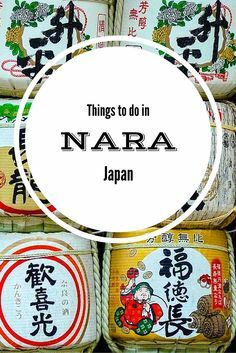 Nara is certainly a great place and we have enjoyed our trip there thoroughly last year! Oh, that’s a shame. The Deer will come to depend on the tourists feeding them now. Thanks for the comment and kind words. I found the best thing to do in Nara was visiting the abandoned theme park 🙂 Although the deer were cute as well! ha ha, we never got to see that! It has been this way for 20 plus years… those dear are well feed. They live in the city and walk around with people. I lived there in 1996 and it was that way then.